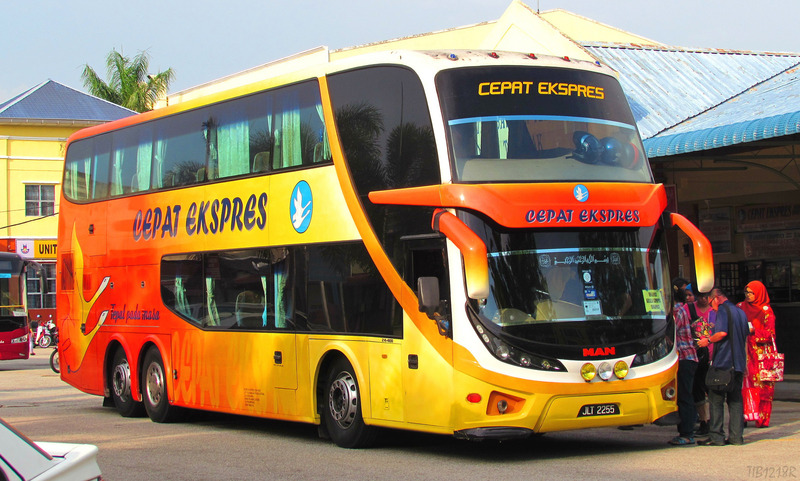 Cepat Express strives to provide their passengers with the safest and most comfortable bus travel experience. Cepat Express has come far over the years, having included various coaches to bolsters their operations. On top of that, a professional workforce consisting of trained professionals, capable of providing a safe and comfortable journey, beyond the set standards. They operate at pickup points all over Peninsular Malaysia as well. These bus terminals are easily accessible by passengers through various modes of public transportation available. Their coaches are fully air-conditioned, consisting of Super-VIP seats that are able to recline. These seats have adequate spacing between them, ultimately providing optimum comfort throughout the ride regardless of the journey ahead. Today, Cepat Express is able to provide 1,300 departures per day to various destinations across major cities in Peninsular Malaysia. Among them include routes from Tangkak to Kuala Lumpur, departing at Stesen Bas Tangkak and alighting passengers at Terminal Bersepadu Selatan. Said journey would take about 2 hours. Address : Lot 174, Kawasan Perindustrian Segamat, Jalan Genuang, 85000 Segamat, Johor. Bus travels have moved from physical ticketing counters to online bus bookings. Begin your journey with Cepat Express on CatchThatBus - the faster and easier way to a smooth bus travel experience. Visit our website or mobile app on Google Play or App Store and book your bus tickets today! journey was suppose to take 8 hours became 10. so slow. comfy journey. unmannered counter staff.